Monkseaton is a residential village located on the western outskirts of Whitely Bay. Just north of the village, the urban sprawl of North Tyneside gives way to an area of green belt stretching into Northumberland. 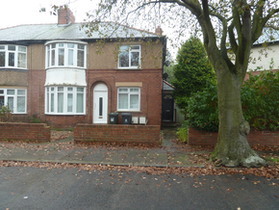 There is a mixed selection of rental properties in Monkseaton. The village has five pubs as well as bowling greens, tennis courts and a cricket club. For those with children, seeking houses or flats to let in Monkseaton, there are several local schools, including Monkseaton Middle School, Valley Gardens Middle School, Monkseaton High School and Whitley Bay High School. Churchill Playing Fields are located within the vicinity and the North Tyneside International Youth Football Tournament takes place here every year. The village is linked to the Tyne and Wear Metro system by Monkseaton Metro station which offers fast and frequent travel links across the region. Ask KIS lettings to help you find the best properties to rent in Monkseaton.